Jaguar and Land Rover are targeting best-in-class running costs to ensure they appear on more company car choice lists in future. Led by two new products - the Jaguar XE and the Land Rover Discovery Sport - Jaguar Land Rover is hoping to compete with German premium brands for fleet sales in future. The Discovery Sport replaces the Land Rover Freelander, while Jaguar will be squaring up against the BMW 3 Series with the new XE. The organisation is also seeling to improve its presence in the fleet sector in other markets implementing some of the lessons learned in the UK. As a group, the company's global sales reached a record 425,000 in 2013, more than doubling in five years. The company now wants both its brands to offer class leading running costs in future to ensure they appeal to the head as well as the heart. 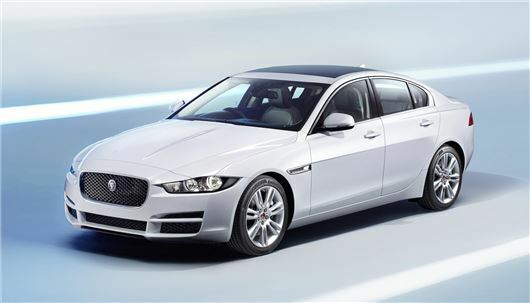 The Jaguar XE will boost the brand's presence among company car drivers, with almost half of sales expected to be to fleets. The Land Rover Discovery Sport is expected to have a renewed interest from company car drivers later in the year when a front-wheel drive version is launched. Both the XE and Land Rover Discovery Sport have been designed and developed with Jaguar Land Rover’s global fleet and business team involved from the start. When it goes on sale in January, the Discovery Sport will be the most efficient production Land Rover ever, even before the front-wheel drive ED4 model with CO2 emissions of 119g/km. The XE will have CO2 emissions from 99g/km for the manual 2.0-litre diesel model. Jeremy Hicks, Jaguar Land Rover UK managing director said: "The new Jaguar XE and the Land Rover Discovery Sport are the right products at the right time. Fleet and business drivers are desperate for some new life to be breathed into the market. With their brand appeal, driving dynamics, incredible efficiency and focus on technology, the Jaguar XE and Land Rover Discovery Sport will appear on more company car choice lists than ever before. "These new products are supported by an enhanced new fleet and business sales structure that will see the needs of large fleets and user choosers not just met but exceeded. Factor in class-leading cost of ownership with our commitment to protecting residual values for the long-term and we believe Jaguar Land Rover has the formula for success for business drivers."